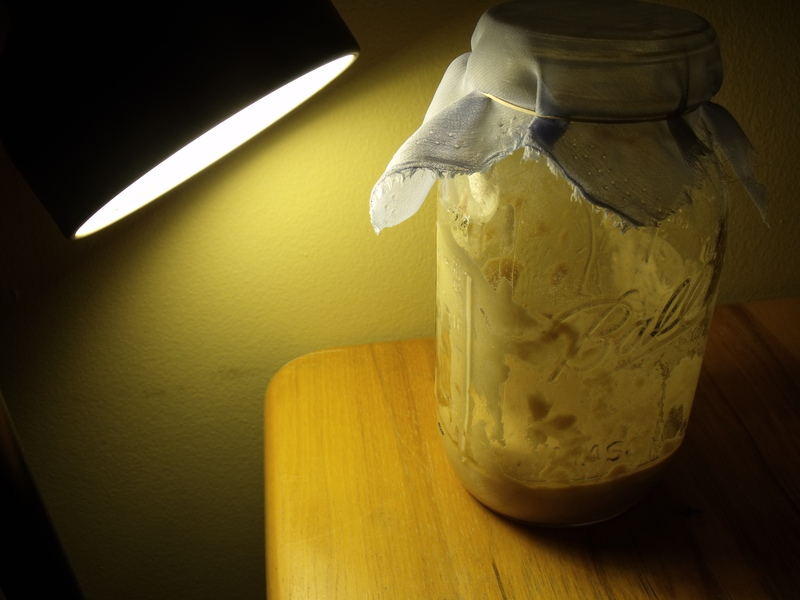 I mixed a 1/2 cup of flour (its a half whole white wheat, half unbleached white) and 1/2 cup water and put it in a glass jar with a piece of lightweight fabric rubber-banded as a lid. 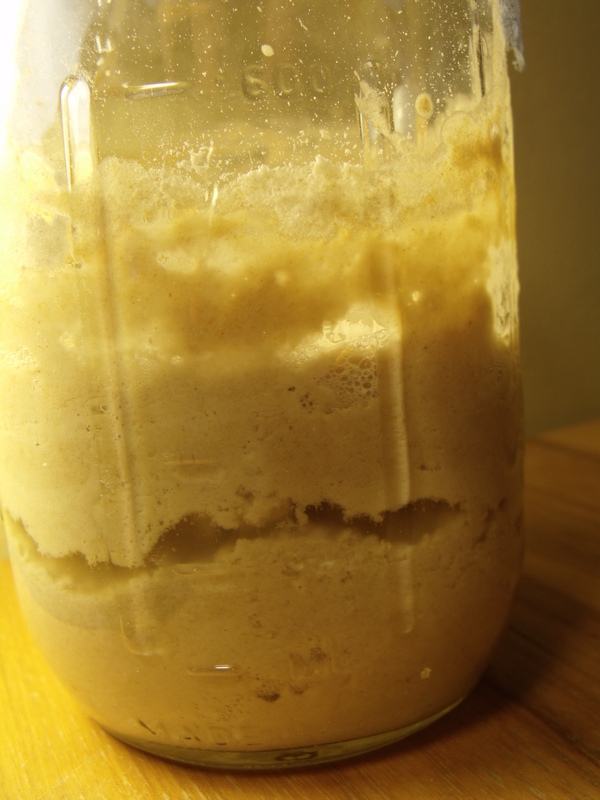 The idea is to “capture” the yeasts already present in the air and allow them to ferment, making a starter for any sourdough recipe. I am keeping it underneath a lamp so that it stays at a warmer temperature (our duplex is cold because we are in the basement!). 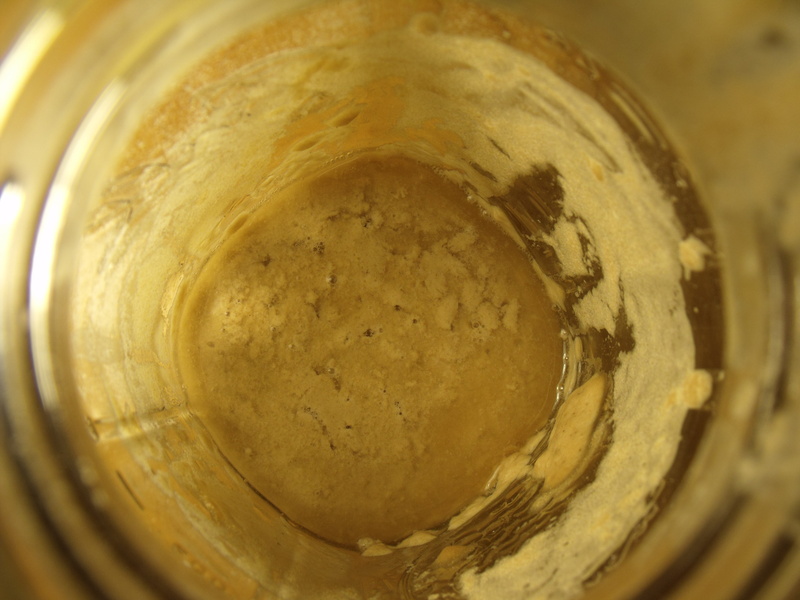 This is what it looked like when I came home from work that day – already some bubbles forming! Day three (today) side view. Look at all those bubbles already! It still smells like flour, not really that sour smell quite yet. I’ve been “feeding” it a 1/4 cup flour and water about every 12 hours, per the instructions and I expect it won’t be too much longer before I can bake some sourdough goodies! Yay! I will keep updating about how it is going and what I try to make with it. It has (so far) been a lot easier than I thought it would – I wish I would have tried it earlier! ← It’s (still) Chili outside. That wih a big steak on the grill and I will be there. Just be sure to stir it regularly. 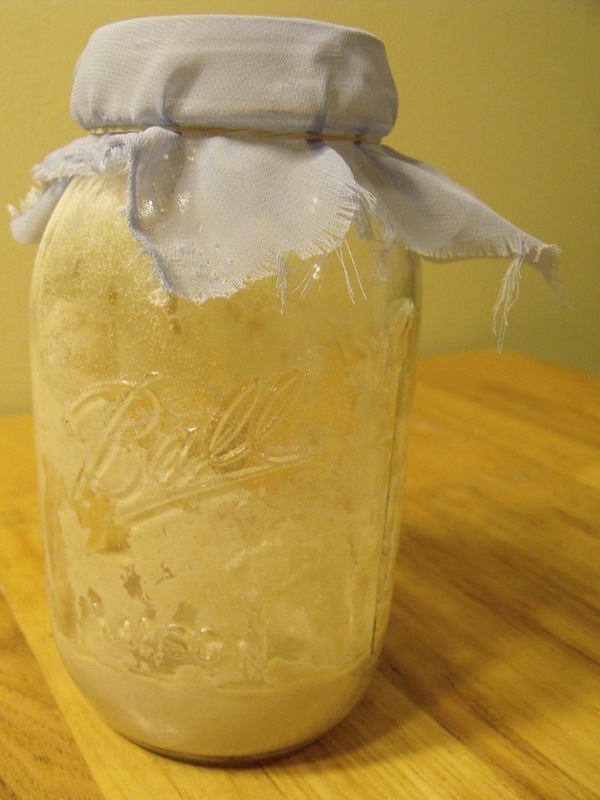 You can refrigerate your starter and only take it out the day before you want to bake to refresh it. 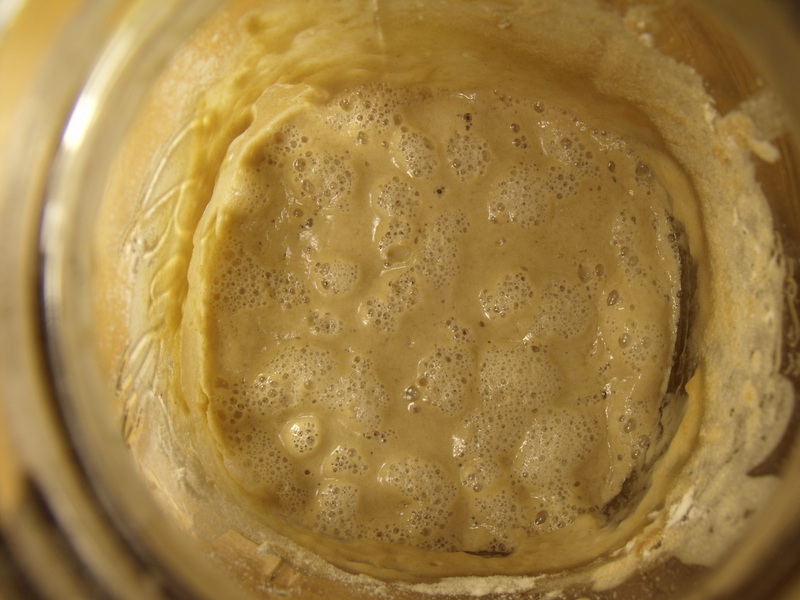 A more liquid starter tends not to be as sour, and a freshly-fed, liquid, and very active starter might not have any sour taste. 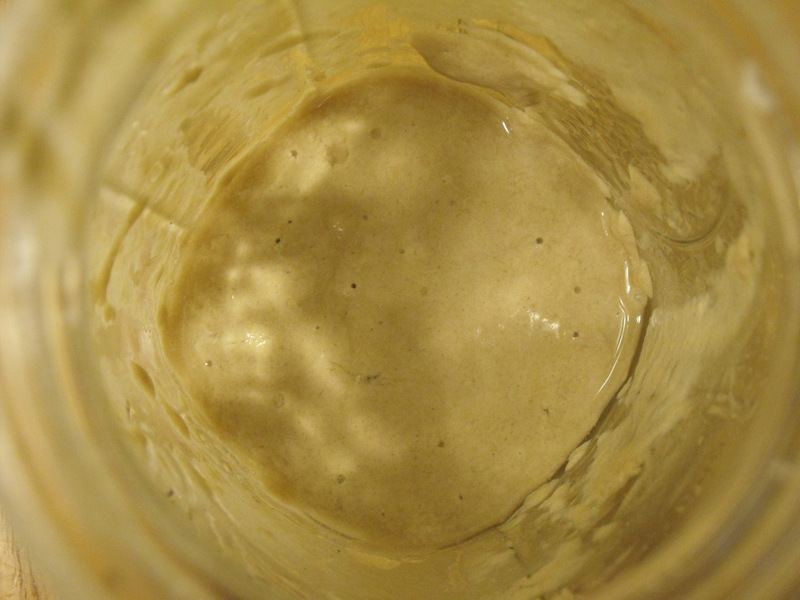 I’ve found my starter does really well with 25% whole grain organic rye flour. Happy baking! Thanks! I’ve had mine for a little over a week now and I just put it in the fridge today. I’ve have been using some rye flour too, so I hope to get good results. I am going to use one of your bread recipes soon!